I had to check out of the hostel at 9:30 so I decided to go right to the airport, even though my plane didn’t leave until 1:30. These were the girls that I shared a room with in the hostel. It was cool because we were all travelling by ourselves, for different reasons. 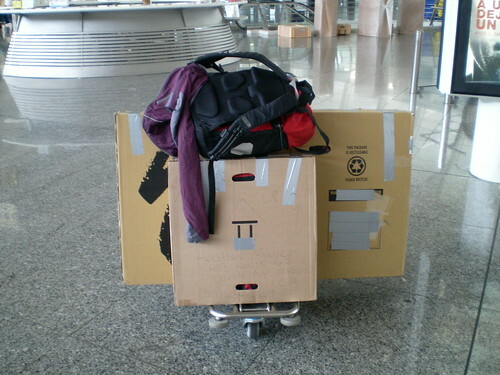 Here is my stuff, all ready to go. The duct tape totally hides the fact that its a bike box. 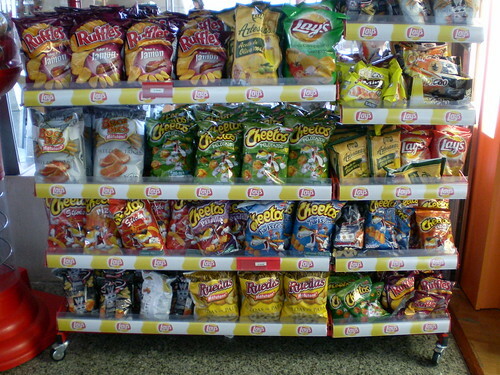 Spain has so many different versions of Cheetos! And this is the perfect example of Spanish vegetarianism. 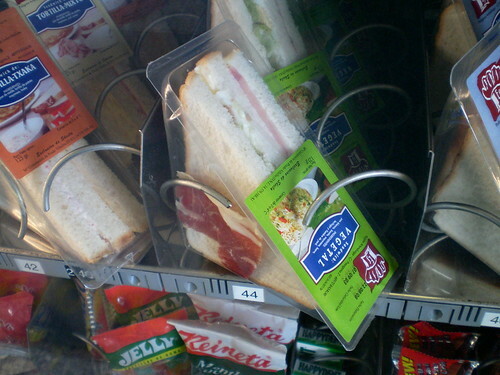 A vegetable sandwich with a piece of ham, just hanging out.